Buy your new home with confidence. Follow the Party Wall Act procedures legally. Project manage construction the right way. We are a RICS Chartered Building Consultancy and are members of the Royal Institution of Chartered Surveyors (RICS) with years of experience in survey reports, including structural surveys, party wall agreements and project management. Our RICS surveyors across London, Kingston and Surrey will be happy to assist you with your property needs, whatever they may be. Why should you choose our RICS chartered surveyors? 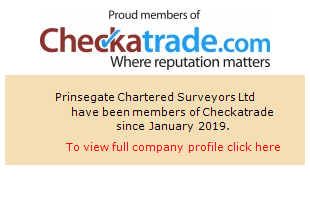 You can, therefore, trust that you’ll be happy with our service as our Chartered Surveyors Surrey and Chartered Surveyors London will supply you with a thorough survey including all relevant information for your case. We offer various services depending on your individual needs. Our surveys are suitable for adjoining owners, building owners and home buyers. …and the lists go on! So if you’re looking for a RICS chartered surveyor, speak to one of our senior consultants in the Building & Party Wall Surveyor Kingston, London & Surrey Teams today. We always recommend Prinsegate to our clients for party wall matters. 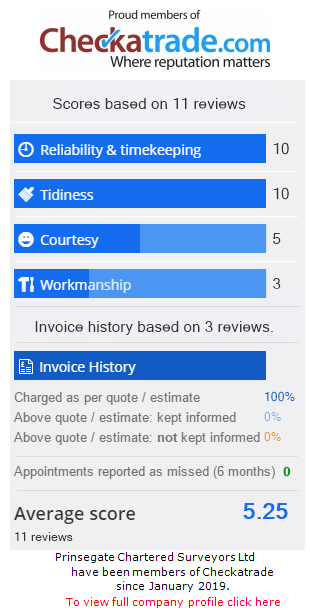 Thank you for such a fast, low-cost and easy service. The customer service was superb. Your building surveys are excellent! We are, so you can have peace of mind with us. 01372 540 250 Speak to our Chartered Building & Party Wall Surveyor Kingston & Surrey Teams now.